The trellising is now nearing completion thanks to Mike Terry, Ivan and the team. 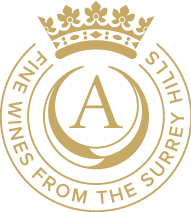 It will have taken about ten days to install the 120 wooden end posts, 1,700 interim posts, 8,500 bamboo canes and more than 10,000 metres of wire to support the vines as they grow. 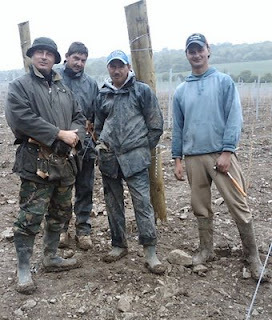 In spite of some difficult ragstone at the southern end of the vineyard, the work will be completed on time thanks to the tireless efforts of the guys in spite of the weather! Next task is to mulch the vines which will hopefully keep the weeds at bay. The mulch will now comprise about 40 tonnes of green waste compost (20mm) mixed with 600 cu metres of wood chip (50mm).